The speed dating event for recruiting! Come to meet employers, ask questions, and make connections. Lisbon Tech Job Fair 2019 is a chance for job seekers to talk to companies that are hiring in person. If you’ve had enough of submitting your CV online without the opportunity to make a lasting first impression, here’s your chance to change your strategy and do a bit of networking. Meet Teleperformance, a leading global outsourcing company providing omnichannel experiences to consumers. 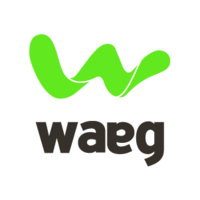 Waeg is a leading Salesforce Platinum Consulting Partner with offices across Europe. We relish working with clients who share our drive, ambition and passion to succeed and deliver, but also who share our core values: Integrity, Commitment and Excellence.